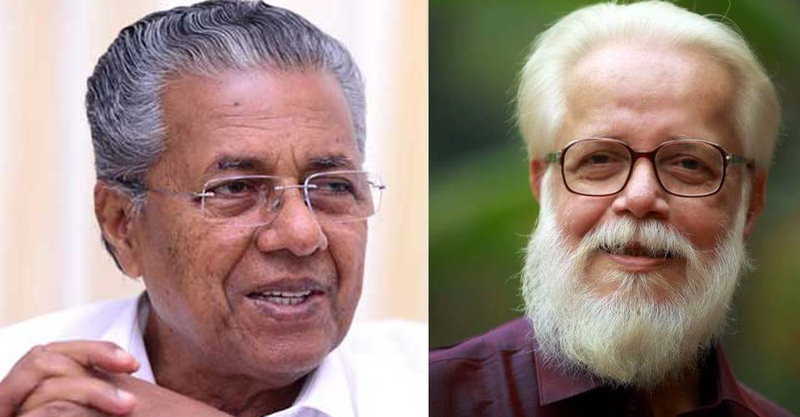 Kerala Chief Minister Pinarayi Vijayan on Thursday said his government had sanctioned Rs 50 lakh as compensation to former ISRO scientist S Nambi Narayanan and also asked authorities to see if the money can be recovered from erring officials. “The money will be given (to the ex-scientist) very soon. We have directed the law department to see if this money can be recovered from police officers who falsely implicated him in the ISRO case,” Vijayan told the media after a weekly cabinet meeting here. The chief minister also said that former additional chief secretary VS Senthil will be the state’s representative on the committee headed by former apex court Judge D K Jain, which will also have a centre’s representative. On September 14, the Supreme Court had awarded Nambi Narayanan Rs 50-lakh compensation for the sufferings and ignominy he underwent after his arrest in what is known as Indian Space Research Organisation (ISRO) spy case. A bench of Chief Justice Dipak Misra, Justice A M Khanwilkar and Justice D Y Chandrachud had also directed for the setting up of the committee led by Justice Jain (retd) to inquire into the role of officials in implicating him in the case. The ‘erring’ state officials in the case include then Inspector General of Police Siby Mathews and then Deputy Superintendents of Police K K Joshua and S Vijayan. The ISRO spy case surfaced in 1994 when Narayanan was arrested on charges of espionage along with another senior ISRO official, two Maldivian women and a businessman. The CBI cleared him in 1995 and since then he has been fighting a legal battle against Mathews and other officials who probed the case.